Artifact on the electrocardiogram can result from a variety of internal and external causes from Parkinsonian muscle tremors to dry electrode gel. Most of the time it will be obvious that you are dealing with artifact and troubleshooting the problem will be straight forward. 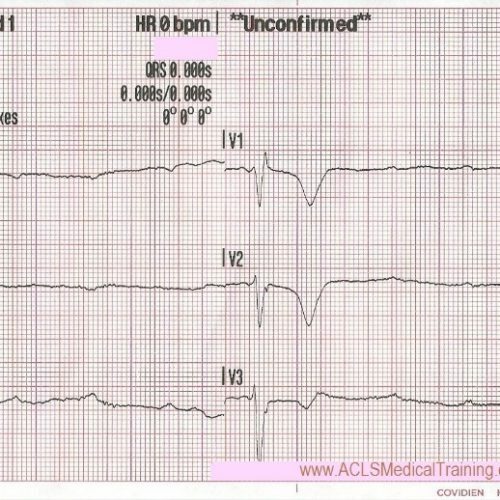 However, there are occasions when artifact mimics ECG abnormalities that can cause problems for patient care. 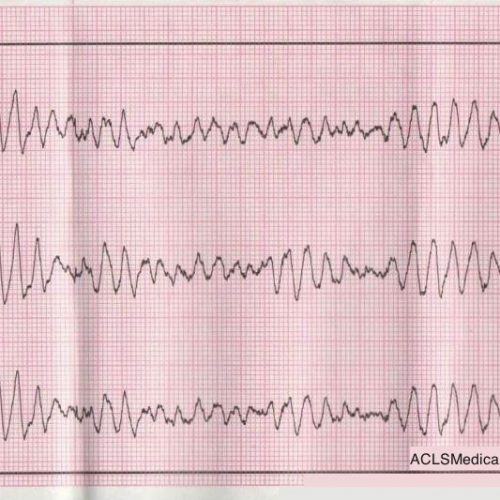 Once when I was a cardiac monitoring technician the alarm sounded and it appeared as though ventricular tachycardia was on the monitor. When we rushed to the patient’s room it turned out she was brushing her teeth! With a trained eye you can often learn to spot the underlying rhythm “marching” through this type of artifact. Other times it’s not that easy (PDF). Here are some types of artifact you may encounter along with some tips to help you achieve excellent data quality on your ECG tracings. You will frequently encounter loose lead artifact when dealing with patients who are diaphoretic because the electrodes simply will not stick to the patient’s body. You may also see this type of artifact when placing the electrode over hair. To troubleshoot this problem make sure you prep the skin carefully! Consider tincture of benzoin. 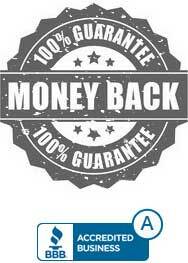 It works great for diaphoretic patients. However, tincture of benzoin is flammable! You don’t want to use it for defibrillation pads. In this example loose lead artifact can be seen in leads I and II. What electrode do leads I and II have in common? Lead I is a dipole with the negative electrode on the right arm and the positive electrode on the left arm. Lead II is a dipole with the negative lead on the right arm and the positive electrode on the left leg. Lead I and lead II share the right arm electrode! That is the electrode that is causing this problem. Wandering baseline artifact presents as a slow, undulating baseline on the electrocardiogram. It can be caused by patient movement, including breathing. I have also noticed that stopping or accelerating the ambulance can cause wandering baseline. Some references suggest that wandering baseline can be caused by loose or dry electrodes. Some paramedics ask patients to hold their breath while they capture a 12-lead ECG. I don’t do this because it can alter the patient’s heart rate. There are times when your patient is acutely short of breath and it’s simply impossible to capture a 12-lead ECG with excellent data quality. Muscle tremor (or tension) artifact is a type of motion artifact. Usually it’s happening because your patient is cold and shivering. However, it can also happen when patients prop themselves up by their arms. The example below was obtained from a young, healthy firefighter during routine training. It was cold in the fire station and he was shivering. The next example was taken after a large towel was placed over the firefighter. It made quite a difference didn’t it? Electromagnetic interference (EMI) artifact usually results from electrical power lines, electrical equipment, and mobile telephones. In the United States this is sometimes referred to as 60 cycle interference (or 60 Hz pickup). To help minimize 60 cycle interference you can set the diagnostic mode of your 12-lead ECG monitor to 0.05 – 40 Hz. As long as the low frequency / high pass filter (the lower number) is set to 0.05 Hz you should get accurate ST-segments. My department has been doing this for so long that I don’t have any good examples of 60 cycle interference! This ECG was automatically recorded during a cardiac arrest. The wavy line after the shock is CPR artifact. Using the small block method (1500/13=115) we can determine that the compression rate was about 115/min. which is perfect! There may be times when CPR artifact makes it difficult to determine the underlying rhythm. However, if you’re performing CPR at a 30:2 compression to ventilation ratio you can see the underlying rhythm during ventilations! Here’s a type of artifact we’re starting to see more frequently as implantable neurostimulators become more prevalent. These devices are used to treat a variety of symptoms including tremors, seizures, chronic pain, nausea and vomiting related to gastroparesis, problems with bladder or bowel control, visual impairment, and hypertension. If you see artifact that looks like this you should ask your patient if he or she has any implantable medical devices. Some devices can be temporarily turned off with a magnet but you should consult with the prescribing physician. The pacing spike is a graphical representation that electrical current is about to pass between the pacing pads. It is followed by a short “blanking period” of about 40 ms (one small block) where the monitor essentially “closes its eyes”. If it did not, the signal would go right off the ECG paper! 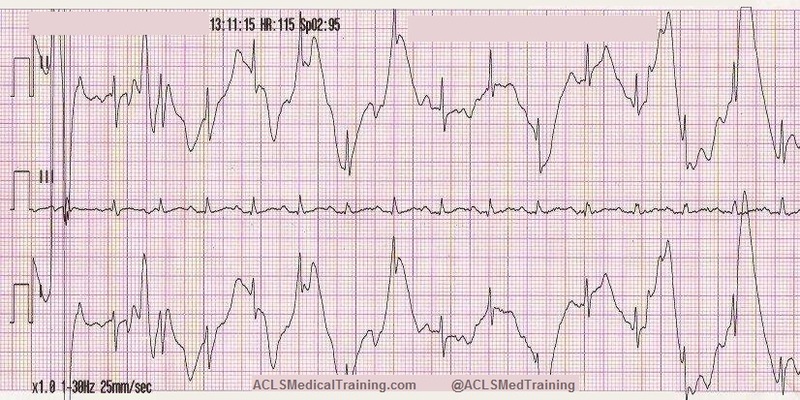 After the blanking period the monitor “opens its eyes” to see the QRS complex that is created by the pacing stimulus. However, sometimes the monitor catches the pacing current as it returns to baseline causing a pseudo-QRS complex on the ECG. You can read more about the problem of false capture here. 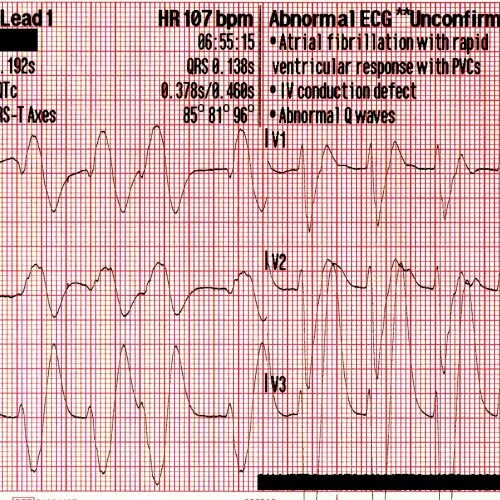 This unusual artifact causes large, bizarre T-waves on the ECG. The phenomenon was first reported in 2005 by Özhan et al. as a “bizzare electrocardiogram” thought to be associated with abnormal left ventricular motion. Consider these two ECGs which were recorded from the same patient less than 1 minute apart. The first ECG shows simple motion artifact in leads I, III, and aVL. The second ECG shows large, bizarre T-waves that were concerning to the paramedics on the call. You will note that the artifact is most pronounced in leads I, II, and aVR. Lead III appears perfectly normal. This suggests that the right arm electrode was placed over the radial artery. But if that’s true why is there also artifact in other leads? Aslanger E, Yalin K. Electromechanical association: a subtle electrocardiogram artifact. Journal of Electrocardiology. 2012;45(1):15-17. doi:10.1016/j.jelectrocard.2010.12.162. Aslanger E, Bjerregaard P. Mystery of “bizarre electrocardiogram” solved. Journal of Electrocardiology. 2011;44(6):810-811. doi:10.1016/j.jelectrocard.2011.04.001. 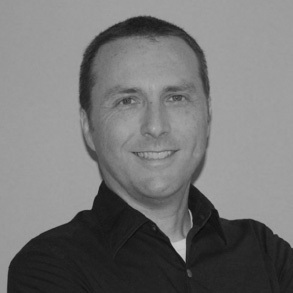 Tom Bouthillet (@tbouthillet) is Editor-in-Chief of ACLSMedicalTraining.com (@ACLSMedTraining) and Fire Captain/Paramedic in South Carolina where he is the Emergency Cardiac Care Program Manager and the STEMI and CARES Site Coordinator of his fire department. Is there an Irrational Fear of Naloxone? SVT with Aberrancy or Ventricular Tachycardia?